Completes Antique design solution with KOHLER accessories. Capturing the style of minimalist design, Purist faucets deliver streamlined water control. This sink faucet trim features a 35-degree angled spout and lever handles for easy operation. The convenient wall-mount design provides a clutter-free countertop in your bath or powder room. When paired with a two-handle ceramic disc valve, this trim offers optimal performance. 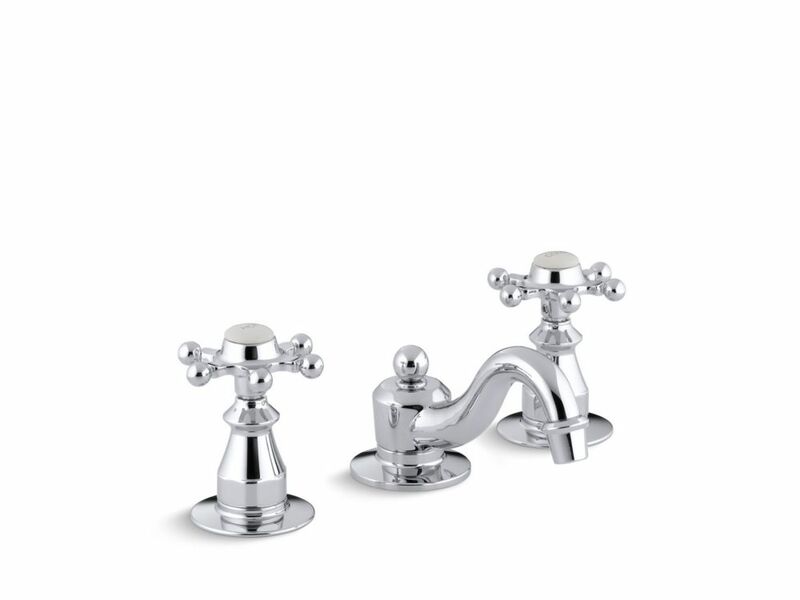 Antique 8 inch Widespread 2-Handle Low-Arc Bathroom Faucet In Polished Chrome With Six-Prong Handles An elegant finishing touch to traditional decor, Antique faucets and accessories bring nostalgic charm to bath and powder rooms. This widespread sink faucet features laminar flow for a strong, solid stream of water, and easy-to-clean and leak-free UltraGlide valves. The two vintage-style six-prong handles offer easy operation.